Chicken is the new chocolate! Candy hearts and flowers are out, chicken is in. This year, you can give your significant other something they really want for Valentine's Day. 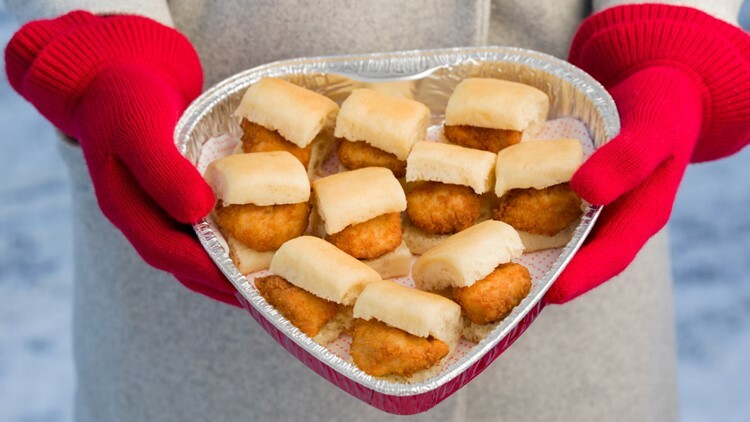 Chick-fil-a is offering heart-shaped trays of chicken nuggets and Chick-n-Mini biscuits at select locations as another way to say "I love you." The trays are available with 30 nuggets or 10 Chick-n-Minis and became available last week. Check with your local store for availability.